Yesterday, ViuTV held a sales presentation to showcase new in-house dramas and programs for the year. The productions feature a seasoned cast and discussion-worthy themes. Detective Psycho: The Prequel <詭探前傳> is the prequel to last year’s hit Detective Psycho <詭探> and will apparently be even more scary. 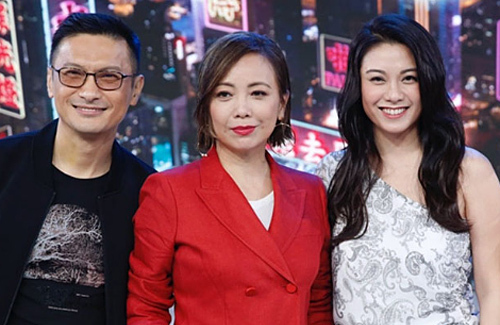 It will star Adam Cheng (鄭少秋), Michael Tao (陶大宇), and Elanne Kong (江若琳). Adam’s character will assist the police force in solving cases with supernatural elements. The drama will feature many stories based upon traditional folklore and superstitions. The Marriage <婚內情> will focus on the complexities of relationships and explore modern day values about love. The drama will star Sunny Chan (陳錦鴻) who has not acted in a Hong Kong drama for six years. His character will have multiple affairs behind the back of his wife of 20 years played by Sheren Tang (鄧萃雯), who pretends she doesn’t know about his infidelity. One of his affairs is with Bernice Liu (廖碧兒). ViuTV also produced a new variety show Friends VIP <友枱VIP>, where celebrities will be invited to gossip about all the things they’ve witnessed throughout their careers. vuiTV drama reminds me HKTV and ATV something doesn’t seem right with their lighting or camera and equipment they used to film, something seem off and the story plot aren’t that appealing. But with these stars on the boat hope they won’t waste their talents. If Sheren is on board, I doubt that it can be worse than TVB. If you watch the above video, you will be more surprised to know that it is, in fact, Sunny Chan’s attitude/dream of having 3 women in his life, a wife to have children with him and take care of his daily necessities, one woman to make decision for him in his career, and another woman to share fun with him such as going to shows/movies. It is a very ridiculous idea of a married man.